7 lbs. 8 oz. – 8 lbs. 2 oz. 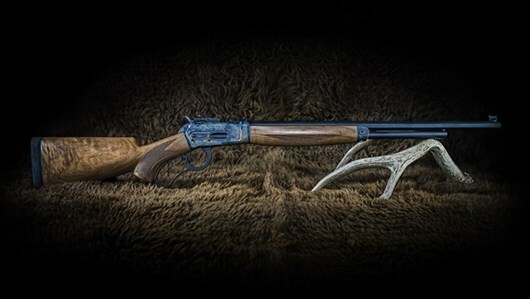 $3,699.00 MSRP – BHA only accepts deposits on rifles. A service rep will contact you within 48 hrs to discuss all options and FFL info. 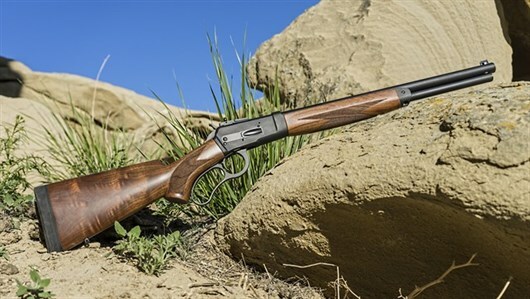 Proudly built in the USA, the Big Horn Armory Model 89A lever-action rifle in .475 Linebaugh continues the rich legacy of American firearms design and development. Built from the ground-up and solidly engineered using the latest CNC technology, the Model 89B embodies the best of the old Model 86 and Model 92 lever-actions in a modern platform capable of handling the powerful .475 Linebaugh. Both rifle and carbine models are manufactured with 17-4 stainless steel precision machined and properly hardened to deliver consistent downrange performance and rugged in-the- field dependability. The selected American black walnut stock and forend are fitted with integral front and stud rear sling swivel mounts. The pistol- grip buttstock has a one- inch recoil-taming pad. Stock and forend are given several coats of a durable synthetic satin finish. The standard rifle and carbine are equipped with aperture rear and post front sights. The Model 89B’s large, hunter-friendly curved- lever enables ease of operation, especially with gloved hands. 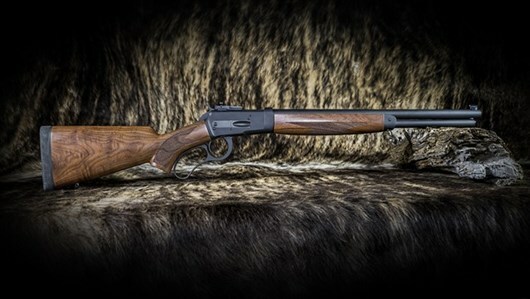 Honoring the long tradition of great American sporting rifles, the new Model 89B .475 Linebaugh provides hunters with pride in ownership, and a powerful advantage afield. $60.00 shipping charge per gun to all states except Hawaii, Alaska, and California ($120).